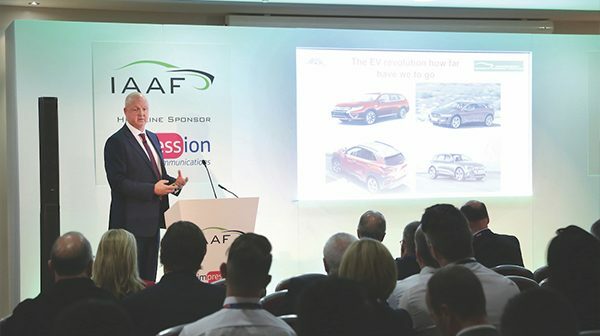 The Independent Automotive Aftermarket Federation, IAAF, held its annual conference and dinner in Milton Keynes last month to discuss the changing aftermarket. Industry trainers, data crunchers and lobbyists addressed some of the ongoing issues that threaten the trade including the future UK-EU relationship, counterfeit goods, evolving technology and the need for legislation to access in-vehicle data. The IAAF’s Head of Membership Development Mike Smallbone, reported on the federation’s activity over the past 12 months, mentioning a number of IAAF’s policy and lobbying successes, including MOT legislation and progress concerning access to the OBD port. Delegates also heard from the Intellectual Property Office’s Des Staggemeier, on the rise in counterfeit goods and the impact on the UK, pointing out that the latest figures for fake products accounted for 4% of national import, equating to £9.3 billion. Quentin Le-Hetet, of market analysts GiPA, highlighted key areas likely to affect the independent aftermarket over the next five years including the development of mobility, PHEVs and VM strategy. He emphasised that although independent repairers must have flexibility to adapt to changes, there was plenty of opportunity to thrive. 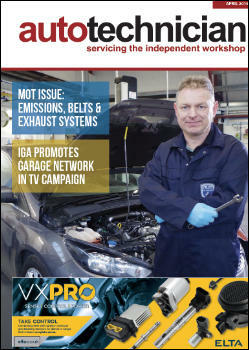 Neil Pattemore from FIGIEFA described the latest technical threats under discussion with VMs in Europe, including type approval, the new threat of indirect OBD port closure, and access to the vehicle, its data and functions. Pattemore stressed that standardisation and legislation were needed to open up platforms, and the aftermarket’s growing alliance was key to overcoming these obstacles. Steve Carter of Train 4 Auto Consultancy gave an overview on the rapidly evolving technology involved in Hybrid, PHEV and Hydrogen Fuel Celled vehicles and the public’s changing attitude towards alternatively fueled vehicles. Lawrence Bleasdale, IAAF president, closed the conference and will step down from the position next month, when current Vice President Terry Knox takes over the role.